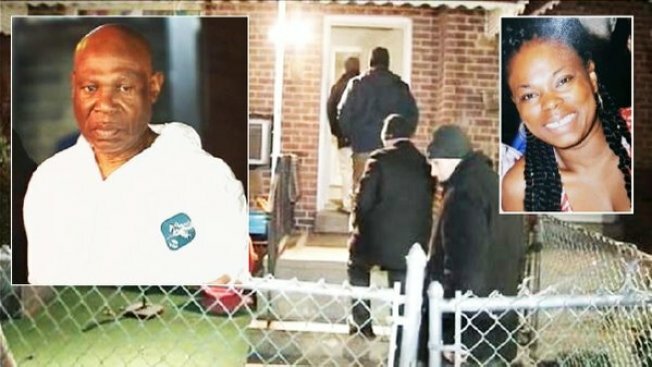 William Caruth, the 61-year-old Bronx man accused of killing his pregnant daughter, allegedly buried her in a grave he dug himself in the basement of her home, prosecutors said at his arraignment Thursday. Her father, William, was taken into custody and charged with murdering her early Thursday. Prosecutors also revealed in court that Andrea Caruth was four-and-a-half months pregnant when she was found dead. Andrea Caruth owned the Bronx home on Corsa Avenue where she operated a nursery school on the first floor and rented the basement apartment to her father, Boyce said Thursday. William Caruth and his daughter got into an argument when she confronted him about him not paying his rent, according to Boyce. It appears that's what led to the deadly encounter. A Bronx judge ordered William Caruth held without bail at his arraignment Thursday, but did grant his request for medical attention behind bars for an unknown issue. He is due back in court January 12. William Caruth has two prior arrests but they were "not something substantial that would indicate he would do something like this," Boyce said. His wife lives in the Carribbean but they are not together, said Boyce. Neighbors were still in shock over the arrest Thursday. "I can't believe that he would do this to his own daughter," said Valentina Caiazzo. Friends and relatives held an emotional vigil for Andrea Wednesday night. "She was a very giving person, very generous," said friend Marie Smith in tears. "This is terrible."